Ficosa, a top-tier global provider devoted to the research, development, manufacturing and marketing of high-technology vision, safety, connectivity and efficiency systems for the automotive and mobility sectors, has become the first Spanish company to join the 5G Automotive Association (5GAA). The mission of this association is to accelerate development, standardisation and marketing of solutions for connected cars and autonomous vehicles and their integration into Smart Cities, as well as laying the groundwork for implementing 5G technology in the automotive sector. 5GAA, which was founded on 27 September 2016, is made up of global leaders in the telecommunications and automotive sectors, including Audi, BMW, Vodafone, Continental, Ford, Samsung, Huawei, Valeo, Nokia, Telekom, Ericsson, Qualcomm, Denso, Intel and LG, among others. 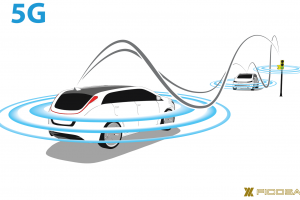 Ficosa has joined 5GAA as an expert in safety, connectivity and efficiency systems for the automotive and mobility sectors and will play a key role in defining the future of mobility. 5GAA will carry out several activities during the Mobile World Congress 2017 with executives and experts from the top companies in the sector and organisations associated with vehicle communications. Ficosa will also attend the most important mobile telecommunications event in the world with Panasonic to present the latest in connectivity for the automotive sector. We’re pleased to invite you to visit our booth at MWC, in Hall 6, Section 6H31 from 27 February to 2 March.